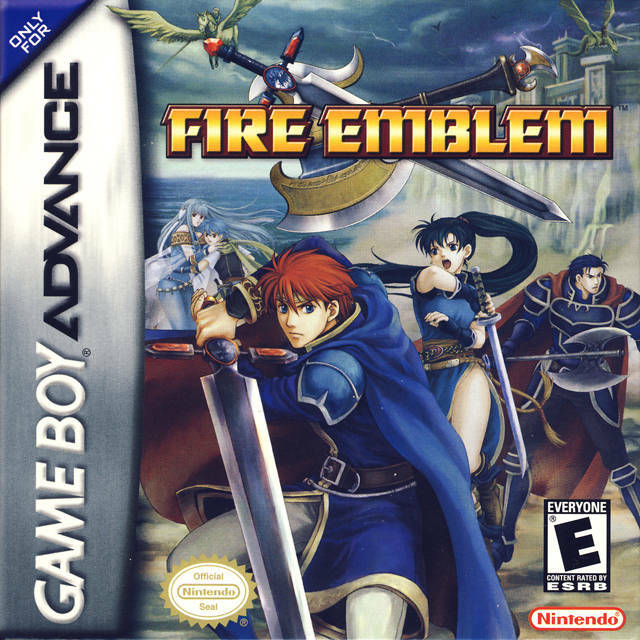 From the Making of Fire Emblem: 25 Years of Development Secrets 25th Anniversary art book comes three sketches showing what FE6’s box art could have looked like. I provide the final art first for reference. You can find these scans and much more on the compilation post here. 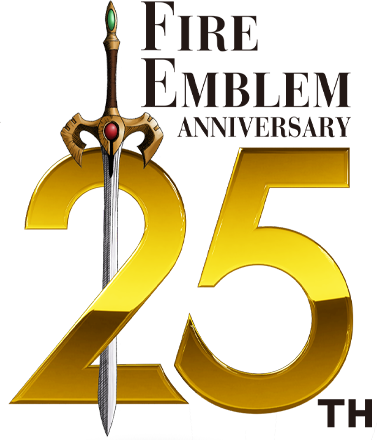 This post is a compilation of all my Making of Fire Emblem: 25 Years of Development Secrets related posts in one neat place. Each section you see below has an individual post, too, but this is to make your life easier. It will be updated every time some new scan or information of interest comes to light! 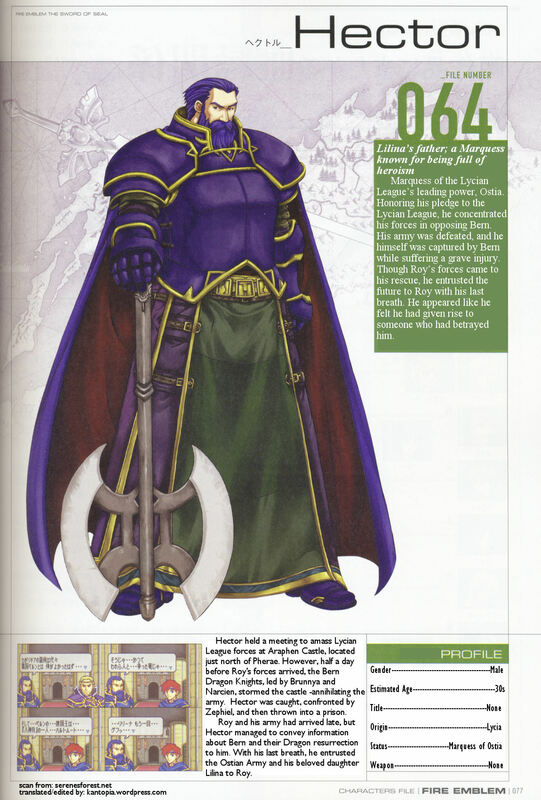 Today I translated and edited Hector(Fire Emblem: Sword of Seals)’s art book page (077). Japanese and English transcripts can be found below the picture! As well as the original image. 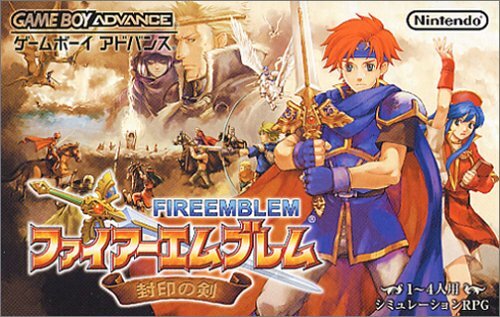 This scan was from serenesforest.net. 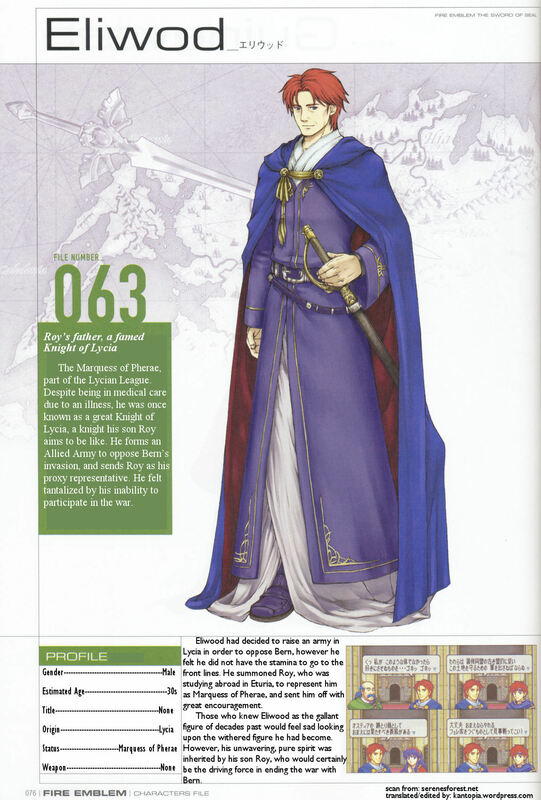 Today I translated and edited Eliwood (Fire Emblem: Sword of Seals)’s art book page (076). Japanese and English transcripts can be found below the picture! As well as the original image. This scan was from serenesforest.net.